"Whatever vibe I'm in, everything morphs into that." The Guardian recently had the chance to interview Kelis and after reading I've realized she's still a boss. It's been years since Kelis has given us reasons to crave her milkshake, but she's back and making all of us drink. Well, actually she's giving all of us spoons and making us eat. Kelis is a now a certified chef and her upcoming album will be a way of promoting her food. It's respectably called Food. I'll admit I've always loved Kelis. She doesn't blend in with the crowd. She's always had her own style and to this day she manages to stay the exact same. She's a beautiful confident woman and the following quotes from The Guardian's interview made me love her even more. "I was never an R&B artist. People coined me one but that's because, especially if you're in the States, if you're black and you sing, then you're R&B." "I was like, 'I will never put out another record again, I hate this business, I hate all these people.' I was in this race that I didn't even realize that I was in. I woke up and ten years had passed. That was never my plan. My desire was never to put out albums, it was to do musical theatre!" "There's a point where you think, 'What else will I do if I don't do music?' It becomes your identity when it never should have been. But food ignited a fire in me and I came right back to music because it no longer felt like a job. It was a really powerful thing for me." "You know, those records in your life that your parents played and they resonate with who you are? They make you nostalgic. I wanted to find out how to get that feeling." While Kelis is still singing, she's promoting her cooking more. Soon she'll have a new show on The Cooking Channel called Saucy and Sweet and she'll also have a food truck at SXSW, which is coming up. Oh how I wish I could be there. By the way, it's Women's History Month. 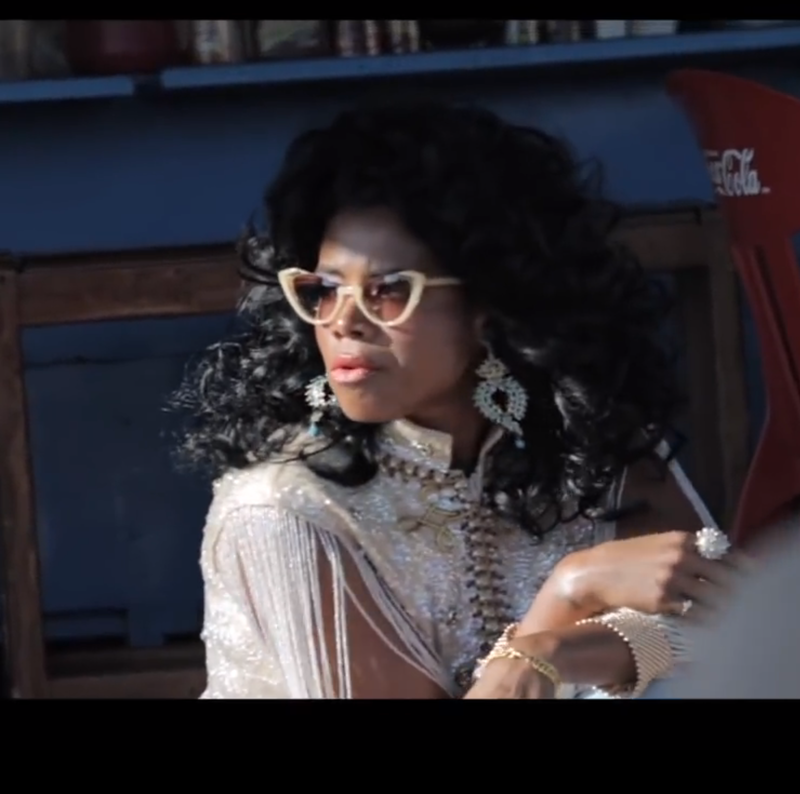 The above photos are stills from Kelis' new music video Jerk Ribs. #PaychecktoPaycheck Will The Struggle Ever End? Are His Goods Worth It If He's Damaged? #LonelyRoad What Is Master P. And Sonya Doing? Can You Turn A (Male) Hoe Into A Husband?